What Are Appeals and Habeas Corpus Law? In criminal law, an appeal is a request to overturn a court's decision after being convicted of a crime at trial. A defendant may choose to appeal a conviction or imposed sentence to a higher court called an appellate or "reviewing" court. In an appeal, no new evidence may be introduced. The appellate court will only review the current case record and evidence to determine whether or not there were any legal or procedural errors in the initial trial. Errors that may lead to a successful appeal may include insufficient evidence, illegally obtained evidence, improper instruction of the jury, ineffective assistance of counsel, etc. If the defendant is granted an appeal, he or she may be entitled to a new trial or the charges against him or her may be dropped. In certain cases, if a defendant's request for an appeal is not successful, he or she may file an application for what is known as a "writ of habeas corpus." A writ of habeas corpus allows an imprisoned individual to challenge the legality of their imprisonment or incarceration. It allows the jailed citizen to ask an appellate judge to review the process that led to his or her conviction and/or review the conditions in which he or she is being imprisoned. A habeas corpus can be useful if the convicting court lacked jurisdiction over the defendant or crime, the defendant is being held in improper jail conditions, the defendant is imprisoned by police or military personnel without a conviction, or if the conviction was obtained or the defendant is being held in violation of his or her constitutional rights. A writ of habeas corpus can lead to the defendant being set free or the conditions of his or her incarceration being changed. Appeals and habeas corpus law are extremely complex and require the counsel of lawyers with specialized skills and experience. While an appeal is not easy to win, a writ of habeas corpus may be even harder, as not all cases are viable for such a court order. Similarly, while an individual has the right to request habeas corpus, it does not mean that he or she will be granted relief. An appeals and habeas corpus lawyer can best assist defendants seeking to challenge their conviction or sentence. The process of filing an appeal or a writ of habeas corpus is very difficult and requires the knowledge of an experienced criminal law attorney. Appeals and habeas corpus lawyers will need to closely examine your case to find evidence of some error or violation of rights that led to your conviction or imprisonment. Without such legal counsel, you may be facing many years in prison and may not have a chance to appeal or file a writ in the future. If you were falsely convicted in a criminal case or imprisoned in violation of your rights, you deserve the right to appeal your case and seek relief. Attorney Search Network can refer you to a local criminal lawyer to help you with an appeal or habeas corpus. Our criminal lawyers are extremely knowledgeable and experienced in preparing appeals and filing writs of habeas corpus. We will refer you to a criminal law attorney that can help you avoid being wrongfully convicted and/or jailed illegally. If you have any questions about the information provided above, please contact us. 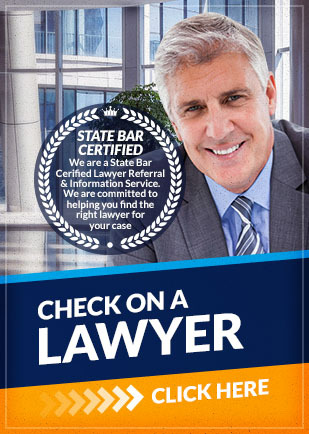 Call us toll free at (800) 215-1190 or fill out out online form for a lawyer referral to a criminal law attorney with experience in appeals and habeas corpus cases.